Is your loan being serviced by AES? American Education Services, aka AES, is a loan servicer to millions of borrowers. 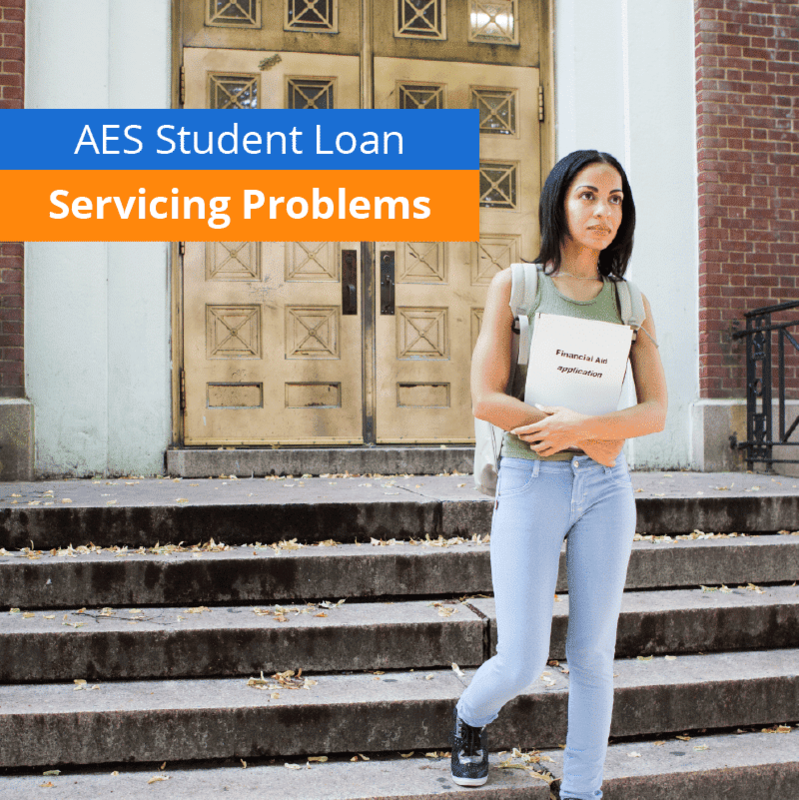 AES Services many Federal Family Education Loan (FFEL) Program loans, but they service private loans, too. Many of the private loans they service are owned by National Collegiate Student Loan Trusts. It’s quite possible you have an FFEL Program loan if you have federal loans serviced by AES. The FFEL program ended in 2010, however, and all federal loans are now issued by the Department of Education’s Direct Loan Program. Even though no new FFEL Program loans are being issued, they will need to be serviced for many years to come as people pay them back, hence the existence of servicers like AES. It’s important to know AES is actually part of a bigger company, PHEAA. The Pennsylvania Higher Education Assistance Agency also operates as FedLoan. So, while AES and FedLoan are separate components, they are both part of the much bigger PHEAA. And PHEAA has been in the news lately. The Massachusetts attorney general’s office is suing the company over alleged unfair practices. PHEAA is also caught in the middle of a dispute over documentation of private loan ownership with the Consumer Financial Protection Bureau, National Collegiate Student Loan Trusts, and other companies. For context, National College Student Loan Trusts are entities that buy private student loans from financial institutions and pool them together. PHEAA is claiming no responsibility in the matter, since they are simply the servicer, not the owner. Still, given the controversy, perhaps it’s not complete surprise that borrowers with loans serviced by AES have made some public complaints. While AES claims a high standard of customer service, their customers may not always agree. Many of these complaint narratives are found in places like Consumer Financial Protection Bureau, the Better Business Bureau, and Consumer Affairs. We took a look to get a better idea of what’s happening with AES borrowers. A big theme: bad communication. In the comments we read, the problem of false reports to credit agencies kept popping up. This is scary because a false item on your credit report can drag down your credit and ruin your chances at an apartment, a car loan, a mortgage, or even a job. Removing these false reports can be difficult, too. Some borrowers seemed to be playing whack-a-mole with bad information on their credit reports. We don’t know the reasons for these flawed reports to credit agencies. But we do know they are an example of bad communication on the part of the servicer. One borrower had defaulted on their loans, which resulted in wage garnishment to collect the debt. In that way, some of their loans were paid in full, but their credit report was not updated and continued to report the loans. After the borrower disputed the report, more false information appeared. They also claim that one of the loans is reported twice on the report, giving the impression of bigger debt. Borrowers in forbearance — a status that allows them to pause payments without penalty — were being reported as delinquent on their credit reports. One person had been fraudulently added as a cosigner to a private loan. Another person claimed to have been disputing a loan with AES for 11 years. They believe an application for a loan was used to fraudulently take out a different loan with different terms. This person has called many times, written letters, and filed a fraud packet. They continue to receive calls, emails, and letters attempting to collect on the loan. One borrower noticed a loan they never took out on their credit report. To dispute it, they did their due diligence and followed suggested actions to remedy the matter. They assembled and submitted a fraud packet. AES rejected it. The report says the inquiry was “closed with non-monetary relief” but it’s hard to tell if this ending was satisfactory at all. Sounds exhausting. Both the financial and emotional toll from spending weeks, months, and even years trying to set the record straight about a false report on your credit is enormous. What about when you receive bad information straight from your servicer? Communication through customer service is a big part of loan servicing. Failing to communicate important information to a borrower is an obvious mistake by a servicer like AES, but communicating wrong information is just as bad, if not embarrassing. A borrower stopped making payments on their loan, and AES failed to reach out to the co-signer. After five years, during which interest continued to accrue, AES finally spoke to the co-signer, who informed them that the borrower had died. The co-signer then started making payments on the loan. End of story? Not quite. AES keeps asking the co-signer for the deceased borrower’s contact information. Another borrower writes she decided to pay back her loan in full to get it off her plate. After she paid via a phone call, she was given the impression the whole balance was paid. AES continued to send her bills. One borrower just wanted access to their payment history and the amortization schedule (or how long it would take for the loan to be paid in full) of a private loan. AES failed to provide either. Another borrower wanted to get a payment history on their federal loan, but AES had not provided it. One borrower received a letter that they were delinquent on their payments. They had auto-pay set up with their bank account and had been paying their loan on time for 9 years, so they were confused. AES had suddenly turned off the auto-pay, the account became delinquent, and was reported to the credit bureaus. When the borrower called to rectify the issue, the customer service rep said their account would be reviewed and the credit agencies notified. Nothing happened. Time and time again, the borrower reached out, was promised resolution and nothing happened. The case is marked “closed” on the CFPB website, but again, it’s hard to know if it’s a happy resolution. One person wrote on behalf of their daughter who said $10,000 worth of payments made over 17 months had been deemed “lost” by AES. The parent and daughter provided evidence of the payments to AES, including the bank statements showing the date and amount debited to the servicer. Still, AES insisted they did not have any of the money. Despite all this, in order to regain good standing with the loan, the daughter set up a new payment plan. The daughter successfully made one payment, but the second payment was “lost” and the whole issue began once again. Communication is king. If a loan servicer is reporting bad information to outside companies, you lose out. If they are communicating bad information to you, you also suffer. And annoyance, frustration, and embarrassment come into play when they keep telling you things you know aren’t true. While these stories are anecdotal evidence from AES customers, they might reflect bigger trends with communication and customer service in the company as a whole. Have you ever dealt with any of these issues with your student loan servicer? I have asked AES to work with me, so I could pay off my loans. I’m on a payment plan and have paid in for years and yet nothing has come off my loans, in fact it keeps getting higher and higher. I asked if I could pay off the original amount (I would borrow from family) and make payments to them. They said no and were just rude. I’ve called to talk to them they have literally made me cry on the phone. I am in the very same situation as the lady assuming fraud through another application for a different loan. It is one of the craziest things I have ever experienced. I am disabled so unable to pay therefore they have gone after my cosigner fro. non fraud application which she is having to pay monthly payments on plus it interferes with her qualifying for purchases due to income debt ratio bc it’s for $11000 with interest. I am in a situation with AES where they were given my private loan, I made a couple months payment, then had a bad couple months where both my father and my father in law passed away, I got a new job, and moved. I had forgotten about this loan but was not receiving ANY contact. When I finally realized I was missing loan payments, it was too late, and AES put my loan in default. I checked my account and they had the right phone number, the right address, but the wrong email address. So they had the means to contact me, but didn’t. When I called AES to find out what happened to my loan, they gave me a bogus number for my new guarantor Learn Express Loans. I called AES three other times and I keep getting either “we have no information” or bogus info that gives me the run around. All I want to do is pay on this loan, and now my credit will be ruined because of this. First off, ensure that you have the correct information for your loan. Here’s how to find out who really owns your student loan. Second, if they aren’t working with you, it might make sense to speak to a lawyer since this is a private student loan. Check out our guide to getting a lawyer for your student loans. Hello. Is there anything that can be done about the ridiculous interest that keeps going up on my current loan? For years it was roughly at 3.9% and has increased to 6.58% more than what is on a federal loan. Is this even legal? This is sounds more like extortion and thievery. The amount barely makes a dent to the principal. For context, that rate is still very low by historical standards. Do you have a variable rate private loan? I had something similar happen with my loan with AES. I was switching from a program 2 to a program 5 payment plan. During this process of switching I received a letter stating that I am in forebearance and I was shocked as this was not communicated to me by the representative when I spoke to her. I called AES and I asked if I can still make my payments on interest during the forebearance period and I was told I could. Later I found out my daily amount increased and when I called AES asking why it went up, I was told because I was on forebearance and the interest had capitalized on the loan. When I told them I was making payments on the interesr, the rep said they were able to see I had been making payments. They said they would review my account and get back to me. Someone in I think an accounting department said it went up because interest capitalized because on one month I paid less. I later looked at my records and found that I had made a payment less than typical payments was because I had paid less than 30 days after my last payment. I later asked for another review at a later date, but still no solid answer showing exactly why my daily accrual went up. It is terrible to have to go through this when I have been making payments at times late but still making them and making sure to cover the interest that has accrued and at times some principal but yet my balance keeps increasing. It sounds like you have your original Master Promissory Note and all the paperwork? If so, I recommend seeking the help of a student loan attorney to ensure nothing was messed up with the transfers and servicing of your loan. Check this out: Finding A Student Loan Attorney. AES held my loan back in 2011 when I was deployed to Kosovo. When I came back late that year I was not given a military forbearance period I believe I was allowed following my deployment. I returned to teaching public school and in the summer of 2012 fell behind on payments. AES claimed I was out of all forbearance or deferment options and AES demanded a payment of 408.12 which I made on July 23, 2012 and demanded I pay that amount every month. I could not keep up with that large of payment and by October of 2012 they placed my loan in default assessing a 12,000.00 collection fee to my balance. I have tried to argue that had I been given my military forbearance/deferment period I more that likely would have had more forbearance time left to adjust back into my payment schedule as a school teacher. The loan was rehabbed and eventually consolidated. FedLoan has it now and says nothing can be done to rescind the huge collection fee and accrued interest since it has been consolidated. I call BS but what can I do? AES and FedLoan fall under the same company don’t they? And how can a 12,000 penalty be fair in the first place? No, AES and Fedloan are different companies. And the $12,000 in collection fees and accrued interest could be correct depending on the loan amount. 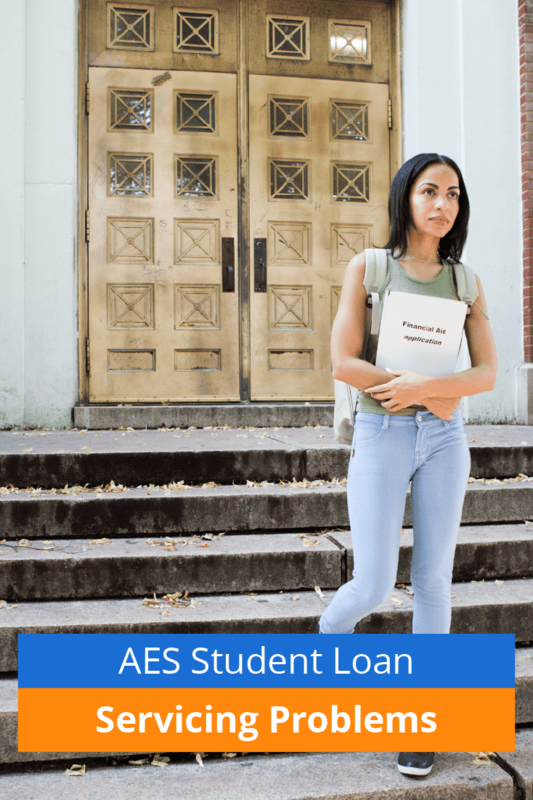 However, if you weren’t offered a forbearance for your deployment and you should have been, you might consider speaking to a student loan attorney to see if they can help. Check it out here: Student Loan Lawyer. AES continues to raise my interest rate and it is now over 10% for both private and federal loans. I am unemployed and they will not approve forebearance and continue to send me notices that I a delinquent on my accounts. They are very rude when calling to speak with them and refuse to help. It is like living in a nightmare when attempting to work with this institution. For your Federal loans, you need to get on an income-driven repayment plan. With no income, your payment would legally be $0. Then, you can start figuring out ways to make some extra income to pay your private loans. Hello, I too have similar problems with my AES private loans. My loans are a total of $60,000, my interest at the moment is 12%, and my payment is over $700 a month and I can’t even pay off a single dollar in principle. My interest goes up every 3-6 months it seems and my payments get larger by close to $30 more a month. I don’t have the money to seek out legal help, nor do I have anyone who can help me make a large enough payment to make a dent. I’ve tried to refinance and I don’t have the credit score needed, nor can I get a cosigner. I’m pretty much feeling hopeless. I’ve been dealing with this problem since 2009. I never seem to get ahead financially. I’m currently looking into a job that pays several dollars more an hour. But I’ll still never be able to pay off this interest that keeps accruing every day. I’m feeling like the only way for my situation to improve is to take the financial hit and not pay these loans anymore. I can’t save money, I can’t save for any kind of rainy day fund, or something for emergencies, I can’t seem to make any head way in my principle amount, nothing is working!!! I see some of the advice given to others here, and to be frank, I see that none of that works. To just call the lender and find ways of getting help doesn’t work. I’ve tried all of these methods to improve my situation and it only gets worse, not better. All generic payments are applied as follows: fees/penalties -> interest -> principal. This is what happens if you just “send in a big check” with your payment. If you go to their website (and are 100% current on your loans), you can select individual loans to make extra principal payments on. This is the better way to do it. I had a student loan with a different company but when it changed to AES, I only found out when the old company sent a check back for my monthly payment. I called AES and paid off the monthly amount that was due but I noticed in the next few days that my credit score dropped by 90 points. Showing that it was 30-59 days late. Can anyone give me any advice as to what I should do? Start by calling their customer service and seeing if they will waive it. Make sure your address is updated and correct. There are form templates to dispute credit report items online, you can then use those to dispute it. I made a payment in December 2017 worth just over 7 months of payments. AES cashed the bank draft but did not credit my account. They claim they never received it. My bank provided a copy of the cashed draft but the back of it is illegible (all electronic printed). The bank provided the date it was sent for payment to them and have provided documentation to me which I have shared with AES. They continue to claim I did not make the payment. I have made subsequent payments after the 7 months elapsed and am up to date in my payments based on my calculations. AES is refusing to consider that a staff member made an error and continue to harass me about the payment from December 2017. I’ve asked to speak to managers on several occasions and no one on their staff is willing to acknowledge even the possibility they made an error. I’ve sent emails including verification from the bank who issued the bank draft that it was paid. A similar issue happened about 4 years ago and in that case I had paid with a US postal money order so I applied for a copy of it; in that case it showed that they had cashed it and had written someone else’s account number on the money order – which is how I was able to prove they messed up. I’ve reminded them about this instance but they refuse to acknowledge they could have made an error again. What recourse do I have? I would also file a complaint with your State Attorney General as well.